Should video games only be played by those who are responsible? What do you mean by responsible you ask? I mean those who are able to make the choice between right or wrong and accept responsibility for their actions. This post is going to be pretty deep. I have had the chance to write on various topics as it relates to video games and there have been a few theories that I have ran across. One theory is rooted in Criminology and the other psychological. Two philosophers come to mind, Bandura and Akers. First Albert Bandura, with the Social Cognitive Theory, which suggests that learning occurs from society and it’s actions and what is learned through observation. We are also influenced by those who we can relate to. There is also indirect learning which is not always applied to our behavior. The product of who we are is the product of interaction of interaction between cognitive, behavioral and contextual factors. We as people are influenced in ways that we aren’t even aware of. Next, The Social Learning Theory as it relates to crime, by Ronald Akers states, The chances of a person engaging in criminal and deviant behavior is increased and the chances of their conforming to this norm is decreased when they differently associate with others who commit criminal behavior are more exposed in person to criminal/ deviant examples and expect greater reward than punishment for their behavior. So what does this all mean? What does this have to do with video games? Well, let’s start with the first theory, though both are similar they differ a bit. Social cognitive theory, speaks to learning through observation and being influenced by those who you can relate to. In terms of gaming, this can mean one playing a game and immediately begin to be influenced by the character on the screen. For example, someone is playing Grand Theft Auto they would go around in real life killing (an extreme example) though relevant. They are influenced by the character and or the environment in the virtual world. This also speaks to the environment and surroundings as well in real life. The next theory Social Learning theory speaks to the criminal side of things. Perhaps one direct environment. You are a product of your environment and as such are influenced by it. If one is in a high crime environment they can be influenced by this and the chances are high that they will participate and the decision is based on the pros and cons and punishment of a particular crime. How does this relate to gaming? 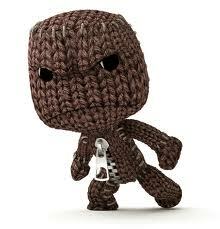 Gaming is a fun hobby to be a part of and sometimes it is blamed or comes up in the most violent crimes. Mass murders occur and it is said that the killer was an avid video game player. Most of the time these people might have mental disorders which all affect reactions and influence and their ability to separate the real from the fake. This brings me back to my question, should responsible people only be able to play video games? Should people who know how to separate real from fake only be allowed to play? Is there a method to find out if someone will not copy the actions of a particular video game? Ok, I’ll answer this. I think by looking at past history as it relates to responses to situations should be the deciding factor. I think that video games are fun and those who play them should have fun but not be influenced by them. Video games should be played by those who are responsible. 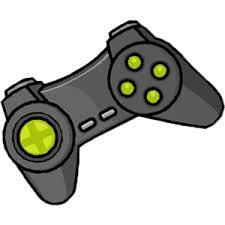 What are your thoughts about video gaming should it only be played by those who are responsible? 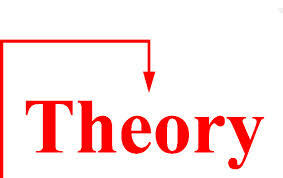 Do you agree with the theories as it relates to human behavior? How do you feel about video games getting a bad rap in cases of extreme crimes? As always be sure to follow, comment and share!! Previous Previous post: The Journey to Youville !